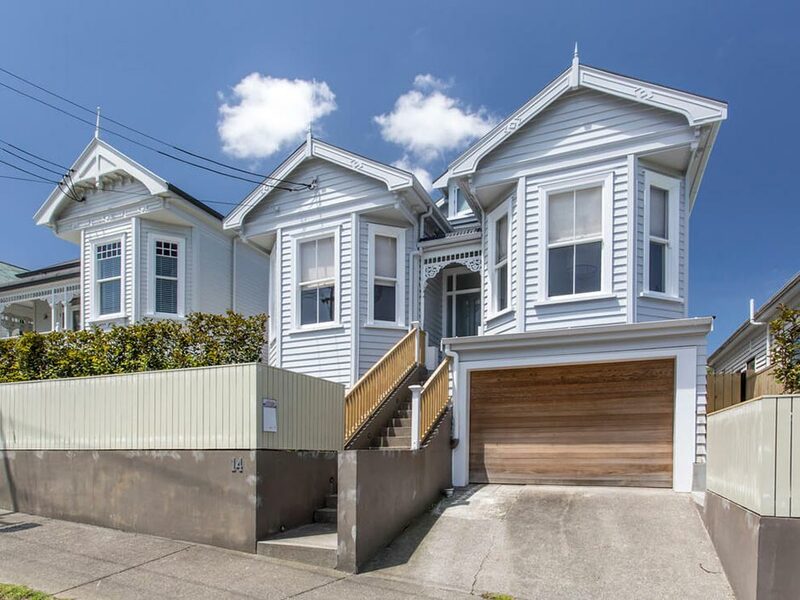 Renovators love Auckland’s inner-city suburb of Herne Bay for its rows of Victorian bay-fronted villas. Architect Darren Jessop of Jessop Architects has had a considerable hand in renovating more than a few of them. He’s even shared his designs in an e-book, aptly titled “Heritage”, and figures he has five projects on the go around the suburb right now. 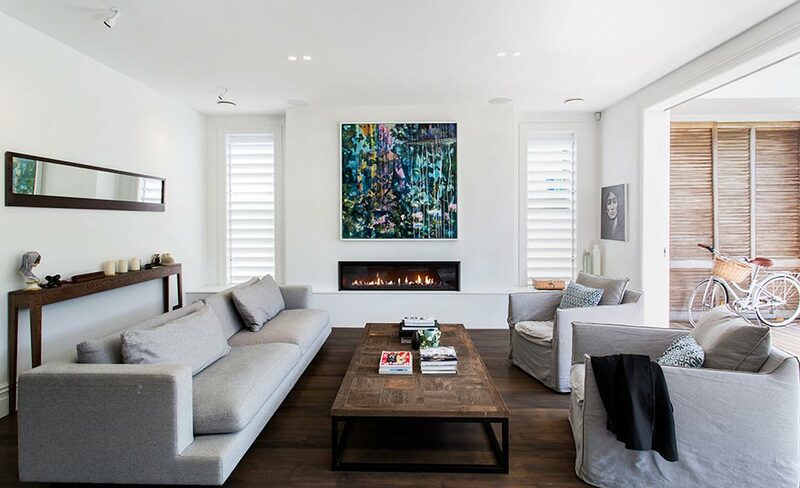 The double bay villa he renovated in 2015 for a family with three young children required extra thought to slide in four bedrooms, extra garaging and living rooms that could adapt as the children grew without disturbing the street-front look of the house. The front door and porch, up an imposing flight of stairs, is a full floor above the street allowing earlier renovators to slide in a garage at street level. First up on this renovation was to excavate that garage to create a generous double, and, laughs Jessop, one monster of a laundry (two washers and dryers, an island worthy of most kitchens, even a television). Diggers could also reach the back yard to create a charming grassed courtyard and swimming pool that slots in right to the boundary of the property. Surrounded by neighbouring hedges, it is a surprisingly green retreat on a tiny site. Works included underpinning the whole house, to support a new upper floor for a large parents’ retreat. 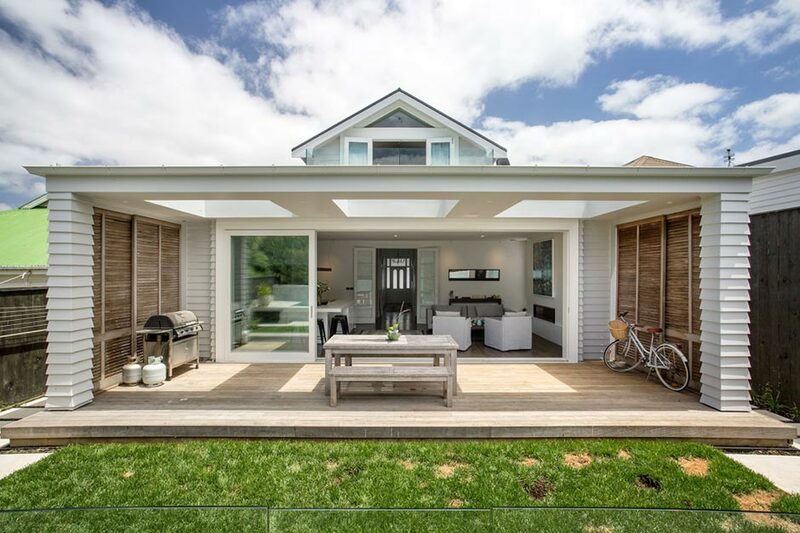 The clients and architect share a love of clean lines, so Jessop’s re-work of the back living spaces pared back extraneous detail to create an open pavilion that blurs into a covered loggia through sliding walls of glass. The loggia is lit by three skylights, with side walls of louvres that provide privacy from neighbours. Jessop’s practice always specifies the kitchen (“it’s important to have the same look”, he says). For these clutter-averse clients he solved a whole lot of storage problems with a wall of textured dark-stained oak along the kitchen that has furniture-like finishes. 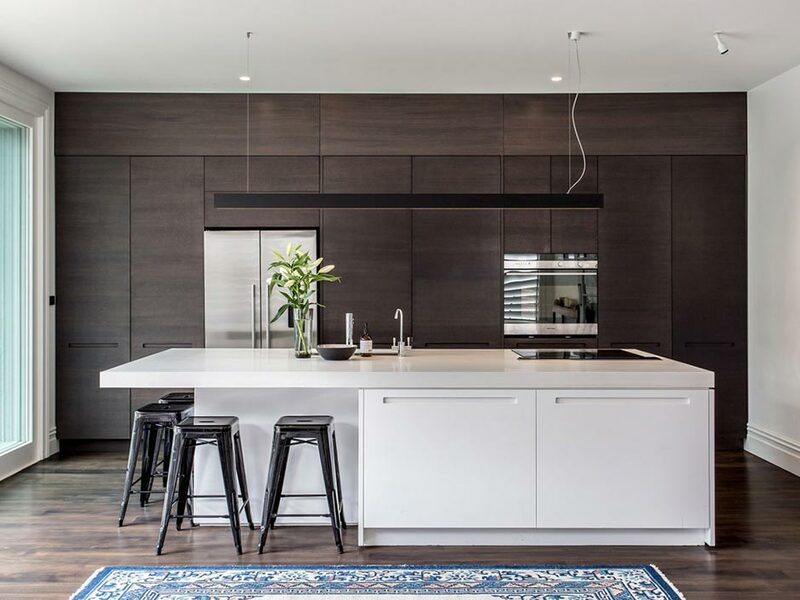 Doors hide pantries and appliance garages, as well as working mess, a huge sleek island of white, topped by a slim sculptural light fitting, is the family gathering place. On the living half of the room, Jessop specified an equally sculptural Escea ultra-wide fireplace. Both architect and client wanted to continue the long slim lines of the storage cabinets lined up with the hearth, as well as allow breathing room for the client’s art. They worked with heating engineers to duct the warmth around the rest of the house, creating both a nice ambience and a dry, cosy house. The architect carved a room off the formerly vast living area for a cosy family/media room. Another wall of stained oak cabinets houses books and television, so the room is perfect to segregate the children and their noise from the quiet relaxation of the more formal adult sitting area. Jessop also borrowed room to fit the staircase to the master suite, lining it with pale oak and vertical slats to help lighten the centre of the house. Three childrens’ rooms and a family bathroom in the original villa needed little more than smartening with the Jessop white finishes, but it is upstairs where he really had to get inventive with a tight space. Running across the entire roof space, the master suite is lit by a pair of discreet windows at the street side, french doors and a balcony on the private garden aspect. The bathroom at the front of the house is lit by discreet ‘eyebrow’ windows tucked into the ridge roof between the two bays and generous skylight above the walk-in shower, enhanced with wall of mirrors and a vanity that appears to float off the floor. A central walk-in wardrobe (more of that oak joinery) leads to the bedroom with its glass Juliet balcony, framed by lush linen curtains. Clients and architect are happy that the villa rework has created a clean, modern space that’s perfect for busy parents and children, but still respects the beauty and rhythm of the heritage street.